I have made a new Library called Kids with Unset Content type as its going to contain both movies and tv shows for kids. 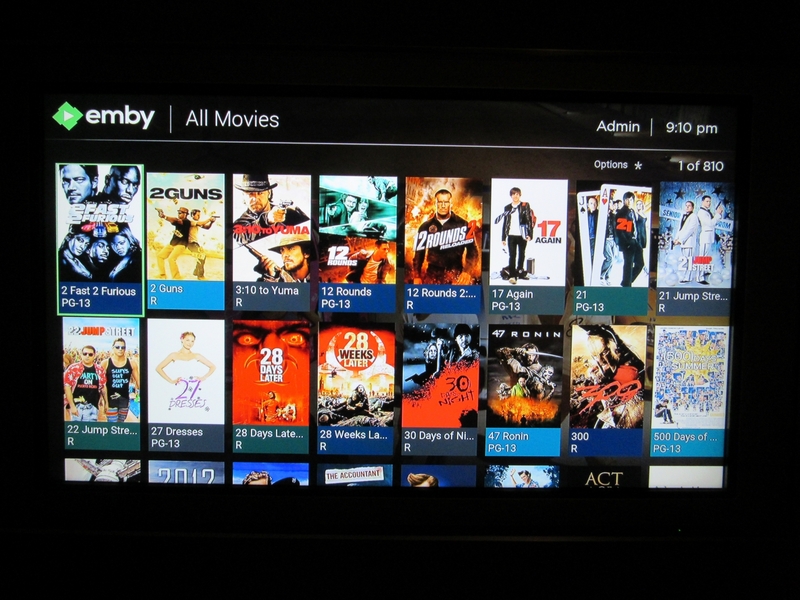 When looking at the library via the new Emby app on Roku the images are not displayed correctly and are stretched to make squares instead of the normal rectangles. 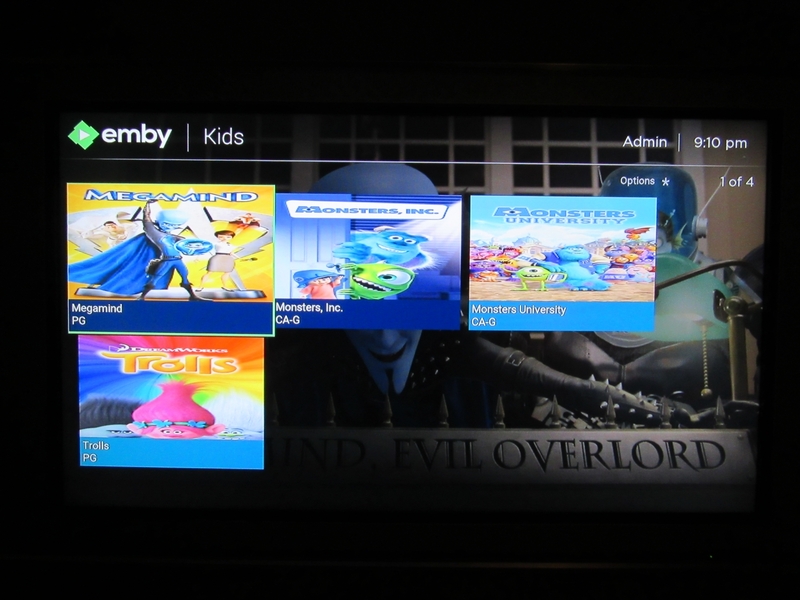 Via the web browser the Kids library displays normal rectangles, so this issue seems to be specific to the new Roku app. Can you please look at this and adjust so Unset Content library types have the same shape/size pictures as the Movies or Shows libraries? When the type is unset we can't be sure what the shape of the items will be and, unfortunately, this new Roku display method we are using cannot handle items of different shapes in the same list. So we have to guess. To get them to at least not distort, you can turn on the Enhanced image support in the app settings. Can you not make them the same size as the other library types? You can fit more of them on the screen also by using rectangles instead of squares. As I explained above, we are limited by the technology. If we default to the portrait shape then thumbs will be really poorly displayed. Unset content types will always present some compromises because we don't have as much information about them. Did you try the setting I suggested? I can't try the setting until I get home from work. But I don't understand why you can display the image correctly in one library and not another if its the same image? Why would this be a technology issue on Roku, but the same image in the same unset library displays correctly via the web app? Because one library tells us what type of things it contains and the other one doesn't. Because the web app is using different technology for its display and it is much more flexible. The Android TV app also has no problem with this. If you turn on the option I suggested, the items will still be in a rectangular box but they will not be distorted to fill it. This is the best compromise I can suggest at this point. It does not sound like a good solution as I assume it will still only show 3 items across instead of 8 items. Can you make a new Library content type that could contain both Movies and TV? and that the images would display correctly? @ebr Would you happen to know if a Unset Content Library will display correctly using Chromecast? Is it only the New Roku App that has this issue? Chromecast doesn't display your library. You just cast media to it. This particular issue is unique to Roku but unset library types have to have compromises in other areas as well. The reason we have content types is so that we have enough information to be sure and show you a rich presentation for each set of items. This is why the original app was able to change aspect ratio via the * button. The new app isnt doing this for some reason. It assumes the way it shows the images is best. This new app is in its infancy. It will be constantly improving.